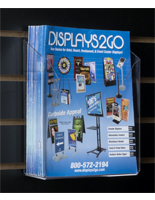 These poster holders can be used to display signage, graphics & advertisements! Slat hook sits below the poster holder's top edge. Includes two clips to secure your poster in place. 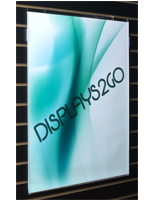 Clear lucite lets your posters standout! 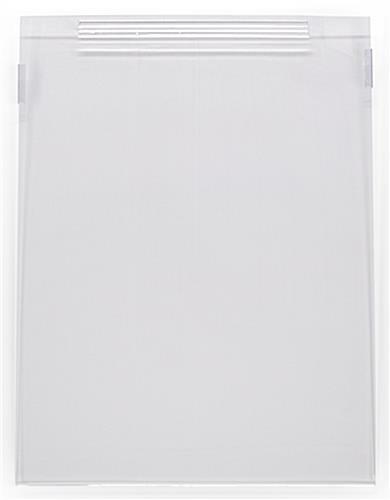 These poster holders display 18"w x 24"h signs. The slat hook attaches to any standard slat wall panel without using any mounting gear or adhesives. 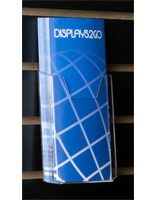 These poster holders are the perfect promotional tool for events, sales and general advertising. Changing your print couldn't be easier, just remove the side clips and insert the signage without having to move the holders from their place. 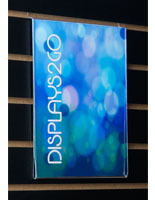 Slatwall sign frames, poster holders are great to display advertisements, prints or product graphics. 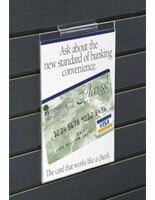 The front panel sits above the slat hook for a clean view of your signage. 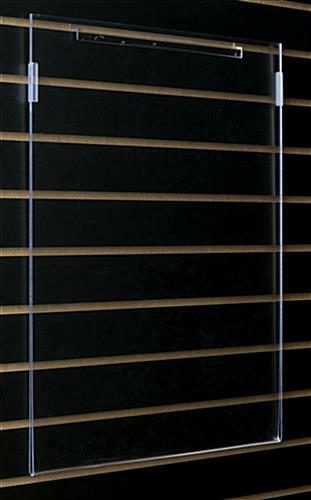 The slat clip in not visible to customers, visitors or guests. 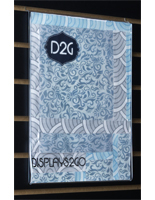 These poster holders have polished edges for an upscale look. 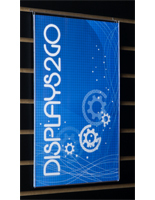 Looking for a great way to keep your customers informed? 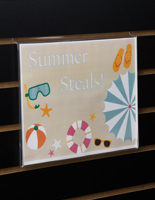 These poster frames, also known as slatwall accessories, are very popular in retail stores and bookstores. 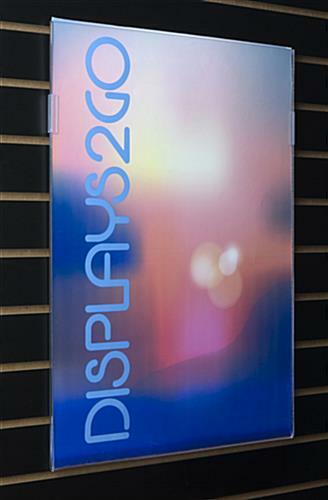 These poster frames are fabricated out of durable acrylic.